Click on the audio player above to listen to the “Banana Boat Song” by Harry Belafonte as you read this post. “Vitamin A deficiency is probably the third largest public health problem in the world,” according to James Dale, Director of the Centre for Tropical Crops and Biocommodities at Queensland University of Technology in Australia. “Somewhere between 600,000 and two million children die every year of Vitamin A deficiency, and another million or so go permanently blind. We’ve relied on supplements for a long time to fight malnutrition,” but supplements can be expensive, and many people don’t want to take them. Enter a new project to bio-fortify the East African Highland cooking banana, a staple in the Ugandan diet. 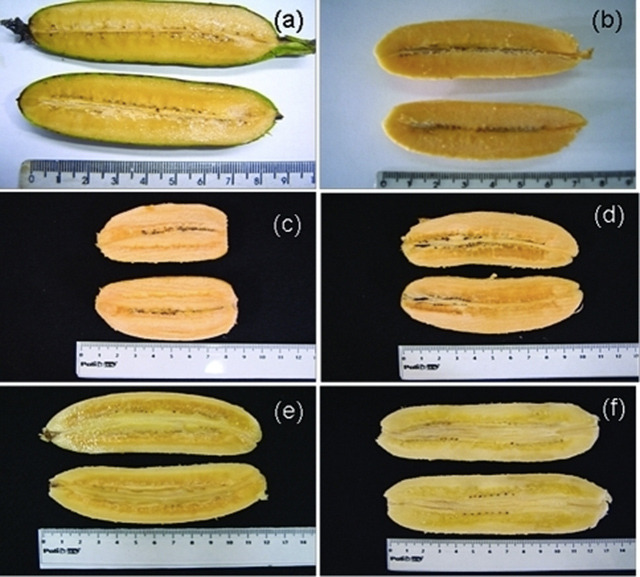 Our bodies convert beta-carotene to Vitamin A, so the idea is to increase the naturally occurring beta-carotene in the banana through bio-fortification, using a Papua New Guinean banana. The project has been funded by the Bill and Melinda Gates Foundation since 2005, and the “super-bananas” have just been cleared to begin human trials in the USA. You may firmly believe that GMO foods are not the answer to world nutritional deficits, or you may applaud this effort. Either way, the project involves cultural twists and ramifications, as such projects always do. This is the interesting part for a Cultural Detective. There are many challenges to making sure everyone gets enough nourishment; cross-cultural understanding and communication are one of them. We applaud those who are taking on these challenges and building bridges to enhance access to healthy food and clean water. Speaking of bananas, I heard about an activity recently that I think might be helpful to you. If anyone knows the original source of the activity, would you please share it with me, for citation here? Thank you. The instructions and debriefing below are my own, based on the idea of exploring how people peel bananas. Many of us go through life believing that “our way” is “the way” to do something. We often fail to investigate—or even notice—if there are other approaches to performing a task (such as peeling a banana). “Common sense” (e.g., how to peel a banana) is really “cultural sense,” common only to those who share the same learned patterns of behavior. “My way” is not the only “right way” and, in fact, may not be the “best way” for the purpose. Having alternatives, diversity, and knowing more than one way to do something are assets. This is a terrific activity to conduct prior to a break, or mid-afternoon when learners may be hungry. After making sure your learners have no banana allergies or other restrictions, give each of them a banana. Ask your learners to peel their bananas and hold onto the peels. Let them know they are welcome to eat the bananas, as well. That’s it—quick and simple! Remember, the key to experiential learning is the meaning-making that takes place during the debriefing. The debriefing is the most important part of any learning activity. It is where sense is made of the experience. Ask learners how they peeled their bananas. Have a few people share. Ask learners how they learned how to peel a banana. Who taught them? When? Where? Explain to them that this is how culture is learned. Culture is our “common sense,” the template (learned behavior, habits) for how we make decisions and interact with the world. Ask learners if everyone in the group peeled their bananas in the same way. Encourage learners to look around and discuss. Usually there will be, at minimum, two different ways learners peel their bananas, particularly if you have an international or multi-ethnic group. Many people peel from the stem end, but others peel from the “top,” as illustrated in the video below. Ask learners if they realized that others were peeling their bananas differently than they were. If they did not, why not? What “blinded” them to seeing the difference? What assumptions did they make? 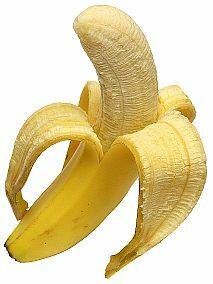 Ask learners if they think their way of peeling a banana is better than another way. You can ask a couple of learners to speak to this, even setting up a debate if appropriate for your context. You can even make a list of pros and cons of the different methods of peeling. Be sure to note that people tend to be perfectly happy with the way in which they are used to peeling a banana. It’s the same with culture. We think “our” way of doing things is the “right” way or, often, the “only” way. Then, we discover there are other ways of doing things. 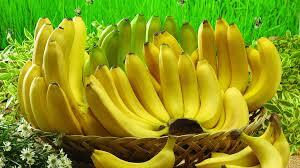 I hope you’ve enjoyed the activity, as well as the info on the super-banana. If you have a favorite cross-cultural training activity that you use in conjunction with Cultural Detective, please share it! We’ll be happy to credit you and link to your page. Together, we can build intercultural competence, justice, and respect in this world of ours. Thank you for being with us on this journey! This entry was posted in Commentary, Exercise/activity and tagged bananas, Cross-cultural communication, cross-cultural skills, Cultural Detective, educational activity, global diversity, global hunger, Intercultural Communication, intercultural competence, learning activity, multicultural society, super bananas, training, training activity by Dianne Hofner Saphiere. Bookmark the permalink. Very simple and ilustrative way of introducing the concept of cultura differences. I would add at the end the possibility of given to each of the learners a new banana and ask them to peel it in a different way, as a way of not just been aware of the different but also to experienced the difference. Thank you for the wonderful work you do helping students and adults develop intercultural skills, José Manuel. Yes, completing the learning cycle to include practice and persona integration is so important! Get your bananas ready!